The Chairman of Atlantic Energy Drilling Concept Nigeria Limited, Mr. Jide Omokore, has returned N200m to the Federal Government, Sunday PUNCH has learnt. It was learnt that the Economic and Financial Crimes Commission has also traced and frozen eight bank accounts allegedly belonging to Omokore. Reliable sources in the commission told Punch that the eight accounts were opened at different branches of Skye Bank Plc. 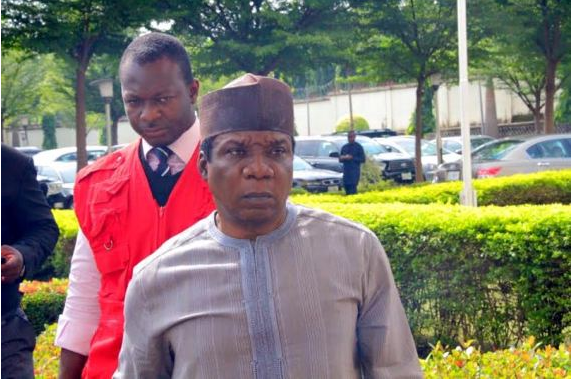 Omokore, who is an ally of the immediate past Minister of Petroleum Resources, Diezani Alison-Madueke, among five others, are currently standing trial before a Federal High Court for an alleged $800m (N247bn at an exchange rate of N309/$1) fraud. to Omokore in Skye Bank. Most of the accounts are company accounts. Some were domiciled in Marina, Adeola Hopewell and some other branches on the (Lagos) Island. The commission had on Monday, July 4, 2016, arraigned Omokore, and five other individuals and firms, before Justice Binta Nyako of the Federal High Court, Abuja on nine counts bordering on money laundering and procurement fraud. Those arraigned with him were a former Managing Director of Nigerian Petroleum Development Company Limited, Victor Briggs; a former Group Executive Director, Exploration and Production of the Nigerian National Petroleum Corporation, Abiye Membere; a former Manager, Planning and Commercial of the NNPC, David Mbanefo ; Atlantic Energy Brass Development Limited and Atlantic Energy Drilling Concepts Limited. Omokore was alleged to have used the Strategic Alliance Agreement signed between the NPDC and Atlantic Energy Drilling Concept Limited to swindle the NPDC and the Nigerian government of billions of naira through the lifting of crude oil from some oil wells between March 2013 and May 2014. The other accused persons, who were senior management employees of the NNPC, were accused of conspiracy in inducing the NPDC to facilitate the lifting of crude by Omokore, Atlantic Energy Brass Development Limited and Atlantic Energy Drilling Concept Limited. They were equally charged with receiving car gifts from Omokore, Atlantic Energy Brass Development Limited and Atlantic Energy Drilling Concept Limited. The defendants pleaded not guilty to the charges when they were read to them.